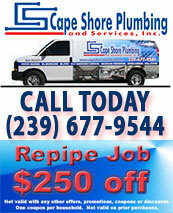 Cape Shore Plumbing is the area’s plumbing contractors sewer cleaning expert. Our use of trenchless technology for sewer pipe cleaning protects your floors, landscaping, and yard from unnecessary destruction. We use video scopes to locate clogged sewer lines, assess the nature and extent of damage, and avoid excavation whenever possible. 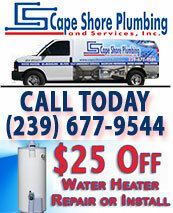 Cape Shore Plumbing is one the select few plumbing contractors that saves you money and inconvenient disruption by repairing sewer lines using pipe repair sleeves to reline your sewer pipes. 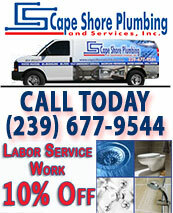 Are your clogged sewer lines creating havoc in your plumbing system? Have you dreaded having your sewer or water line replaced because of the cost and inconvenience involved? Before you wait any longer to clean your clogged sewer lines, consider these advantages of trenchless sewer line repair and replacement. Trenchless sewer pipe repairs are accomplished by the use of pipe repair sleeves that are inserted into a tube and guided into your existing sewer pipes, expanded and sealed. Save yourself from the damage a backhoe will cause to your property by choosing the SWFL plumbing contractors sewer replacement customers prefer. Before you commit to digging a trench for cleaning your clogged sewer lines, call Cape Shore Plumbing at (239) 677-9544. As the area’s premier plumbing contractors sewer replacement specialists, we will offer alternatives like trenchless pipe repair sleeves for how to clean the sewer lines that will save you time and expense money that can be put to better use in other home and landscaping improvements.